The sites in the South Chesapeake Loop offer a sample of habitats at the interface of pinewoods and the swampy bottomlands lining several rivers that drain the southeastern corner of the state. Typically, sites on this loop present a diverse assortment of wildlife that reflects this amalgam of habitats. At a single site, visitors may encounter birds ranging from nuthatches flitting through the pines, to prothonotary warblers nesting in hollow swamp trees, to stealthy great blue herons hunting in the shallows. 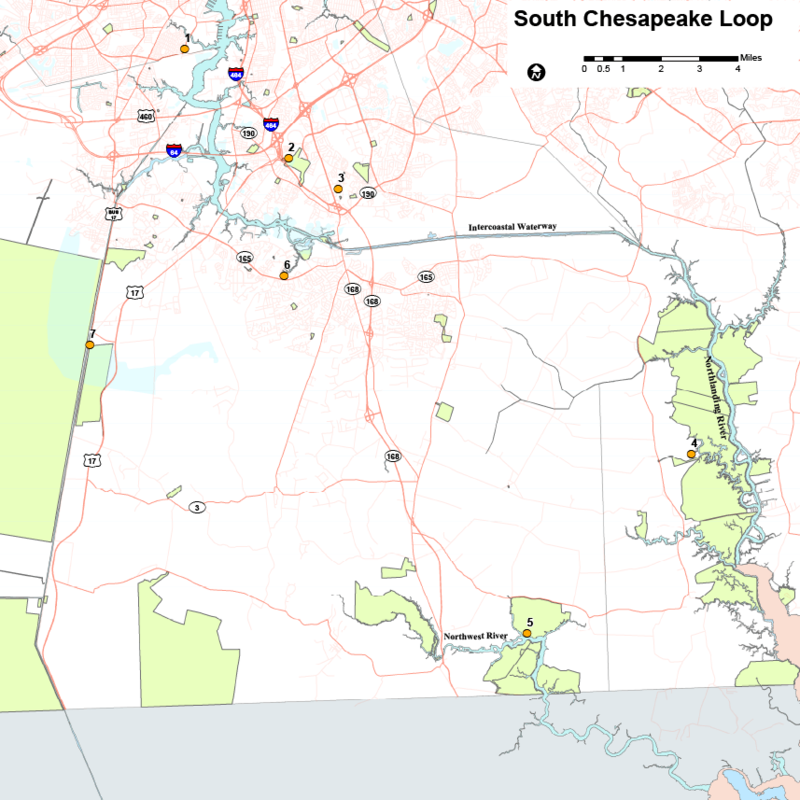 The City of Chesapeake is a starting point for this loop, which circles southward toward the North Carolina border and returns just south of the city.